Will Smith delivers a very good performance. He may even have you believing that he's really South African with the way he nails the accent. The only competition Will had was probably the story of the film itself. If you're not an big football fan then a lot of the information presented in this film will probably be new to you. It's definitely interesting to see this controversial depiction of the issue of concussions in football. Also there's a good supporting cast surrounding Smith. While Alec Baldwin does a nice job, Albert Brooks' dry humor is perfectly timed and a welcome addition to the film. There's nothing really that bad about this film. It is slowly paced, and it's probably not the best movie to watch late at night. Overall, Concussion was a good movie. The main goal of this film is to spread awareness of the danger of concussions in football. Forgive me for not jumping on the "This was Will Smith's best performance" bandwagon. I think that Smith did a great job, but he didn't do anything that was beyond normal expectations for him. His performance in Pursuit of Happiness was better, in my opinion. 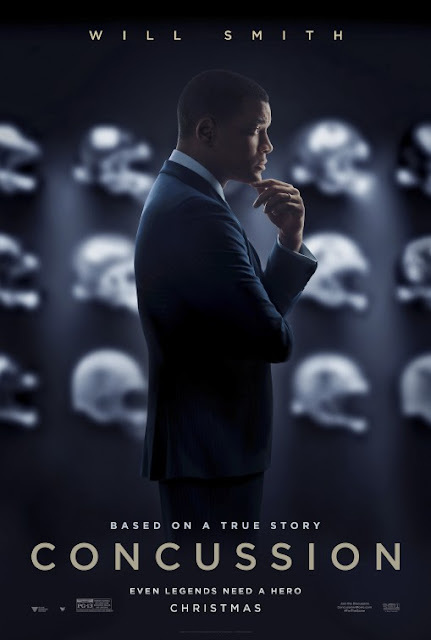 As for seeing Concussion in the theaters, I don't think that's a must. It's perfectly fine to be seen as a matinee or just wait to watch it at home. Star Wars Force Awakens Movie Ticket GIVEAWAY!